The clip-on Model 3442AVG averaging extensometer measures axial strain simultaneously on opposite sides of the specimen. Use it to measure elastic modulus, offset yield stress, stress-strain curves, and ultimate tensile strain. The unit automatically averages out the effects of specimen misalignment on strain measurements. 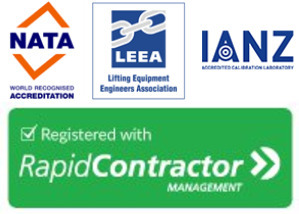 Averaging is recommended or required by many testing standards when measuring modulus or when testing in compression. 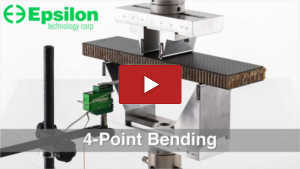 When configured with two separate outputs, it can be used to measure % bending throughout the test. Averaging two measurement locations can improve accuracy and consistency.The self-setting gauge length feature saves time – just clip the extensometer onto the specimen and it will be at its gauge length and ready for testing. 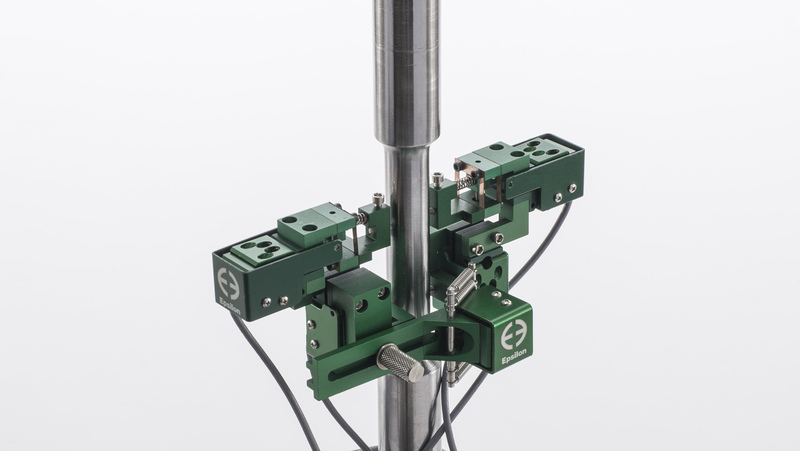 The 3442AVG video shows the self-setting gauge length feature during a unidirectional composite tensile test.The Model 3442AVG is suitable for tension/compression testing and is rated for strain control and for fatigue testing up to 100 Hz. It is smaller than other averaging extensometers, enabling it to fit in confined spaces. Testing applications include tension, compression, Poisson’s ratio, LCF, HCF, fatigue crack growth, and KIC/JIC.Previously limited to 600 °C, these models are now rated for continuous use at 700 °C while they are at the test temperature inside a furnace or environmental chamber. These extensometers use capacitive sensors and do not require any cooling. They are rated for fatigue testing and strain control. 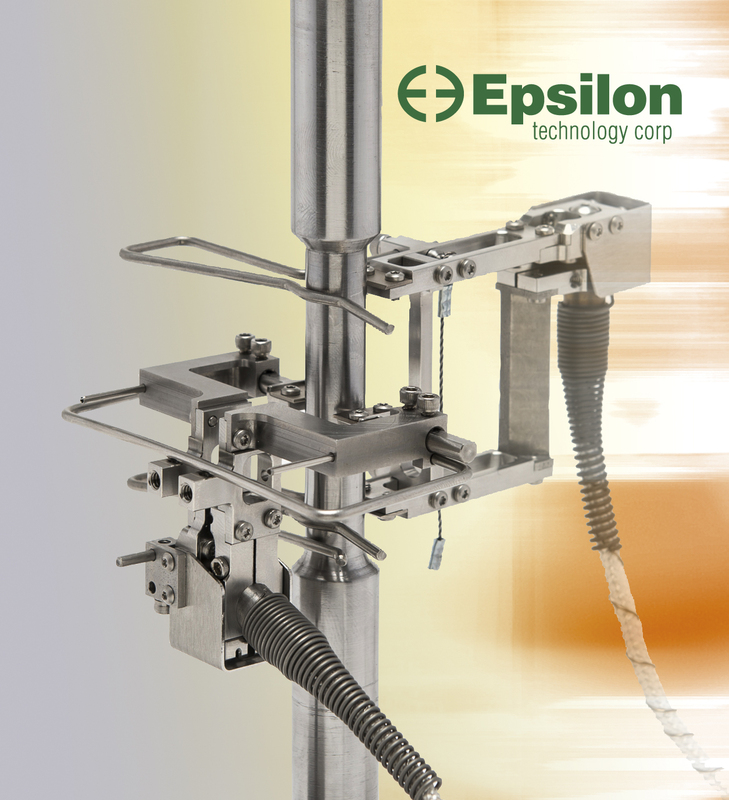 Applications requiring temperatures up to 1600 °C can use Epsilon’s range of ceramic arm extensometers and COD gages. See Model 3540 deflectometer applications – 3 and 4-point bend testing, and component deflection measurements. 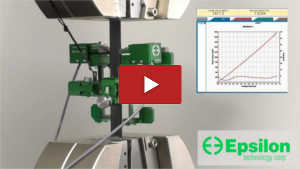 See how to set up and mount the Model 3550 axial/torsional extensometer. 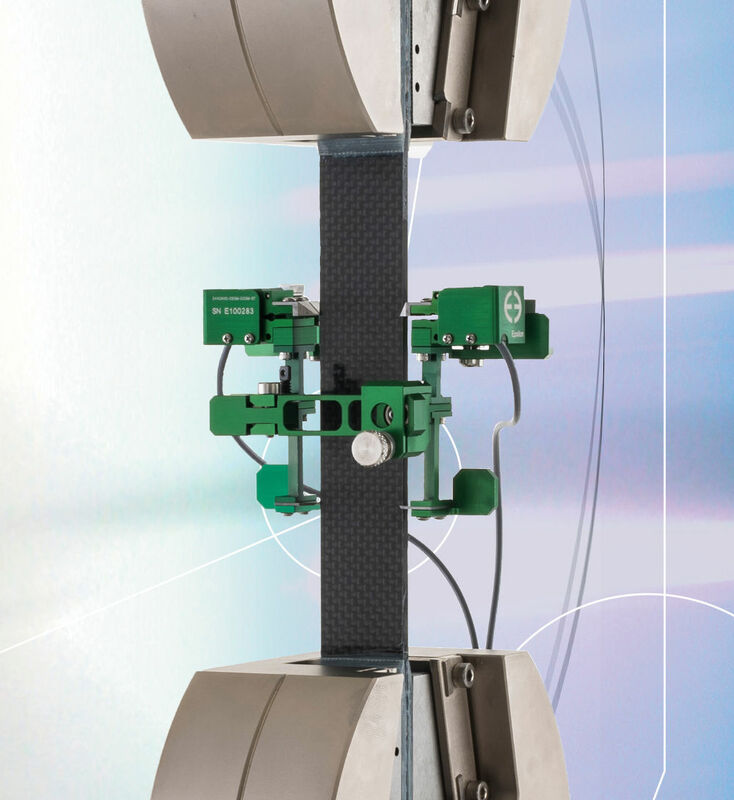 The Model 3550 axial/torsional extensometer measures axial and torsional deflections simultaneously and can be used in strain control, fatigue, and reversed-loading applications. Epsilon’s latest design upgrades make this model considerably lighter, improve its dynamic properties, and produces a simple clip-on style of specimen mounting. The max. fatigue testing frequency is increased to 2 Hz. The Model 3550 measures average axial and average torsional deflections and has one output for each channel. moreFun fact: torsional rotation measuring devices are called “troptometers”, from the Greek “tropos” meaning turn or turning.